Personalized red checkered glasses – adds flavor to any party scene! It is largely sought for marketing and business gifting because it can truly justify the need of any occasion. Promotional red checkered glasses are largely sought by advertisers who market their business to large section of people and grab their attention. These sunglasses will easily show up from crowd due to their checkered frames. 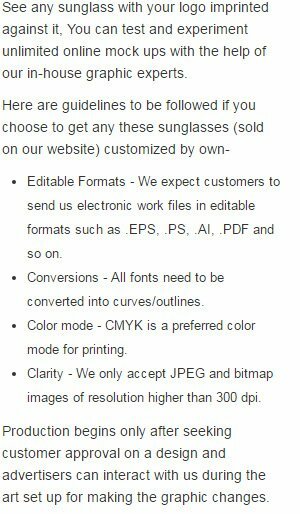 Individuals and advertisers working in typically lower budget schedule still expect to grab favorable responses can easily find success with a custom red checkered sunglass. People are definitely going to retain it because it projects them in joyous mood and leaves great impressions about their fashion choices. Imprint Area: 2" x 3/8".